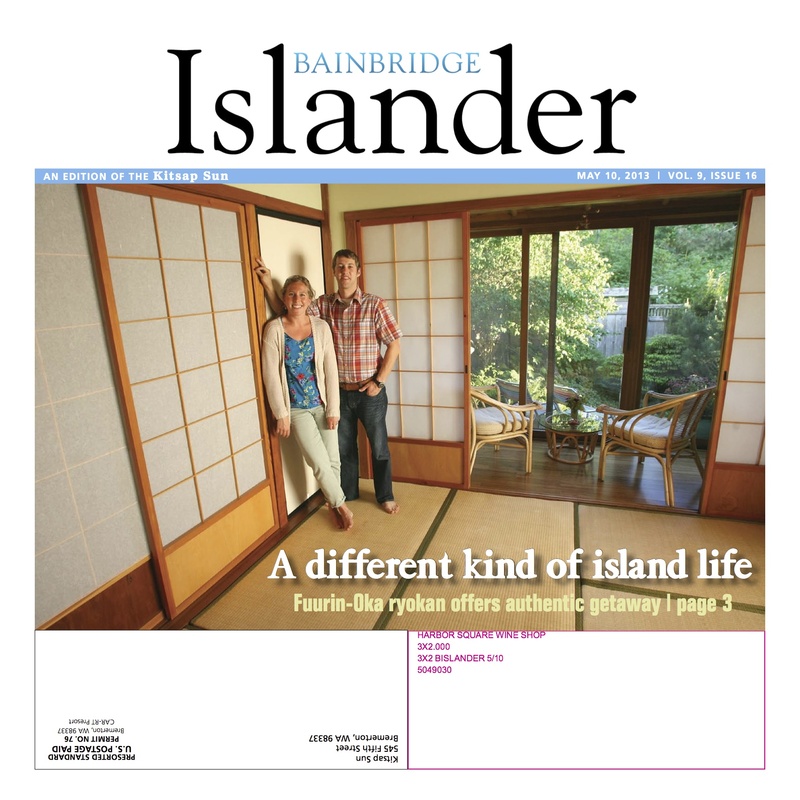 Here’s the Bainbridge Islander preview for May 31. Feel free to give your events a plug in the comment section below. 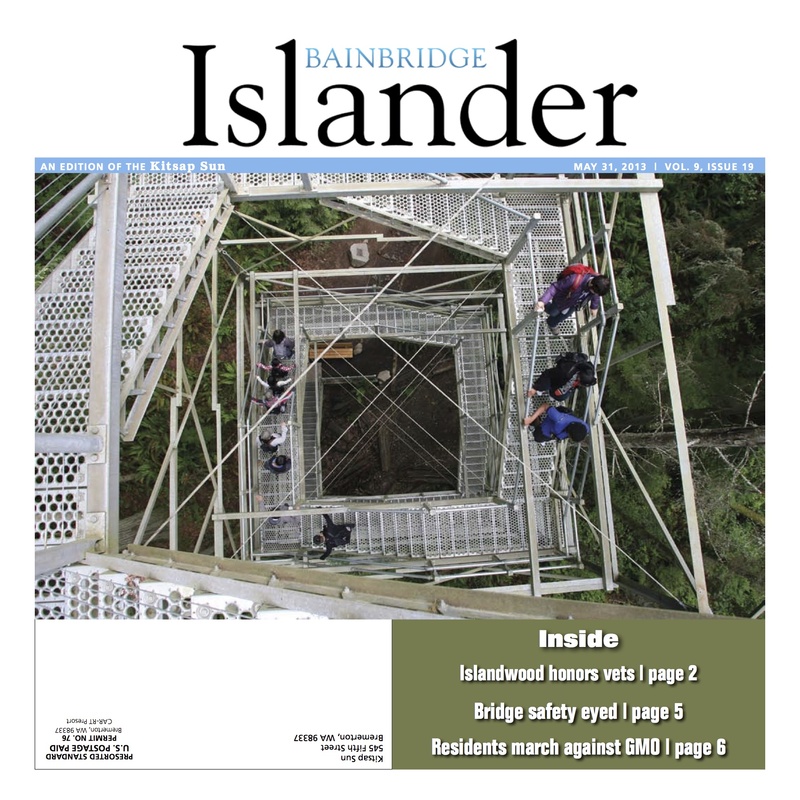 NATURAL HEALING | Wounded veterans visit IslandWood. 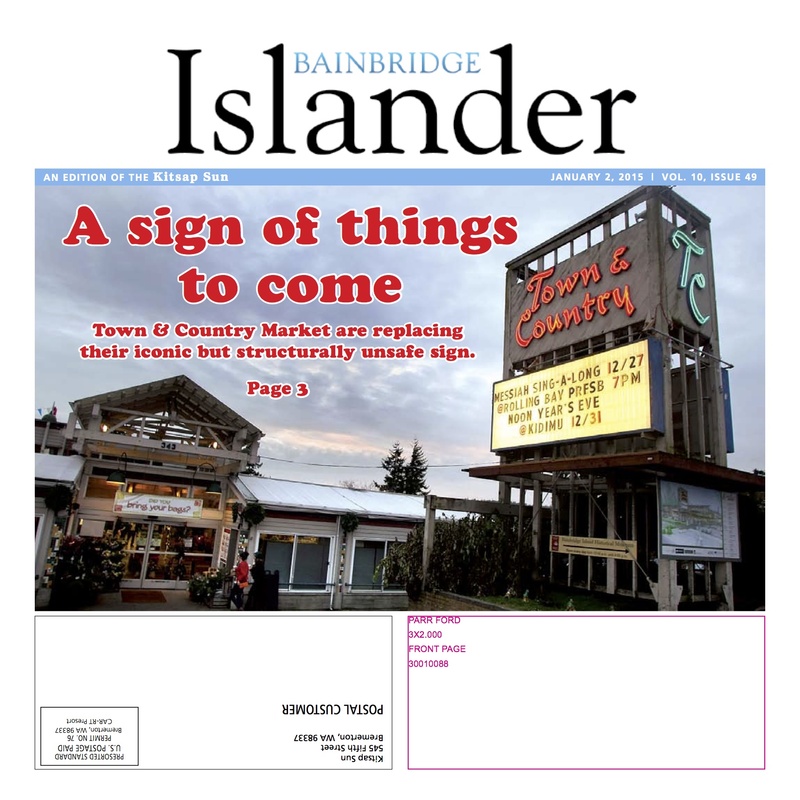 FARM TO TABLET | Bainbridge firm offers farmers high-tech marketing. ‘GIVE FOOD A CHANCE’ | Islanders join Monsanto protest. UNDERWATER GARDENING | Divers replant eelgrass meadow. COMING UP: The future of Waterfront Park. 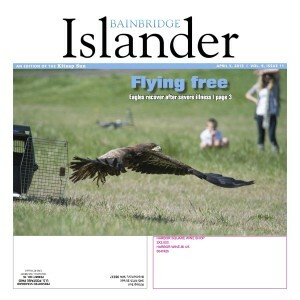 Here’s the Bainbridge Islander preview for May 24. Feel free to give your events a plug in the comment section below. A SPRING SURPRISE | Photos from the spontaneous Scotch Broom Festival. RACES SET | A roundup of candidates seeking office this fall. AMPHIBIAN INVASION | Three-dozen frog sculptures arrive for community arts project. PARK FOR POOCHES? | Vincent Road site proposed for sprawling dog park. 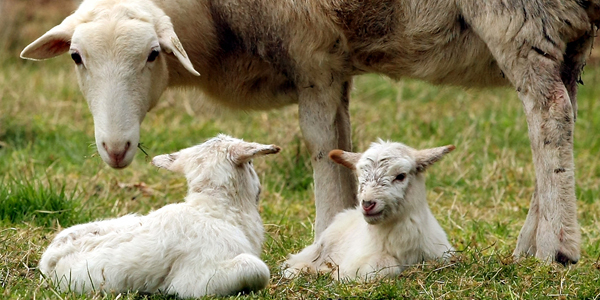 COMING UP: Bainbridge firm offers farmers a high-tech marketing platform. Here’s the Bainbridge Islander preview for May 17. Feel free to give your events a plug in the comment section below. 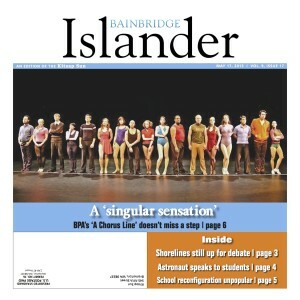 A ‘SINGULAR SENSATION’ | BPA’s ‘A Chorus Line’ continues to wow audiences through May. VISIT FROM AN ASTRONAUT| Bonnie Dunbar speaks at Sakai Intermediate School. SCHOOL CONFIGURATION: “No change” is popular option among meeting participants. 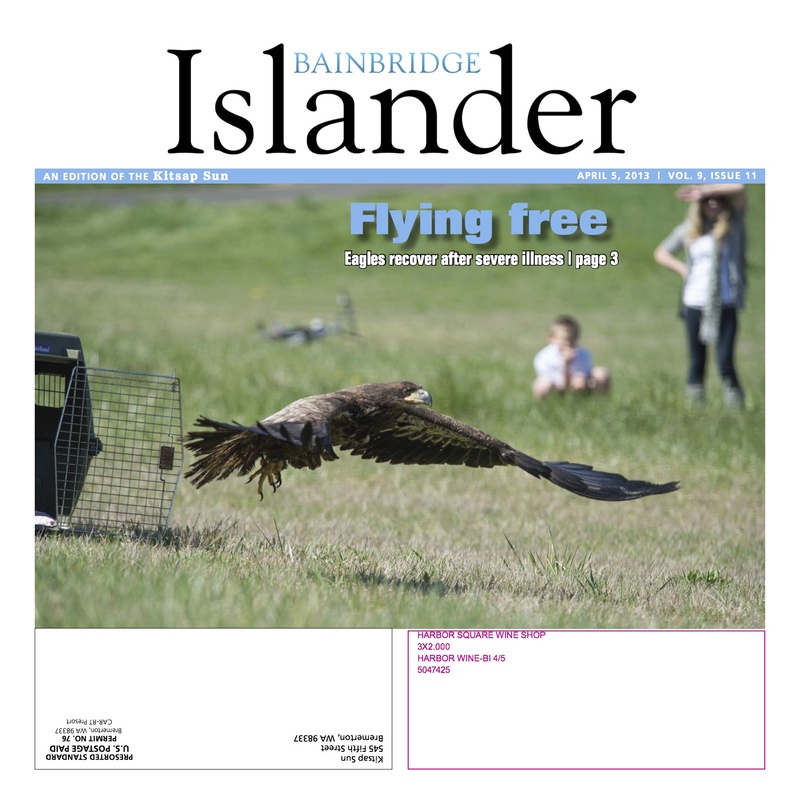 COMING UP: Some good news for island canines and their owners. Weather: There will be mostly cloudy skies and a chance of rain every day for the foreseeable future, according to the National Weather Service. At least it will be warm, with highs around 60. Sports: Boys soccer beat Kennedy Catholic Tuesday to advance to the state quarterfinals. The defending state champion Spartans play Glacier Peak on Saturday. Two tennis doubles teams qualified for state… as expected. 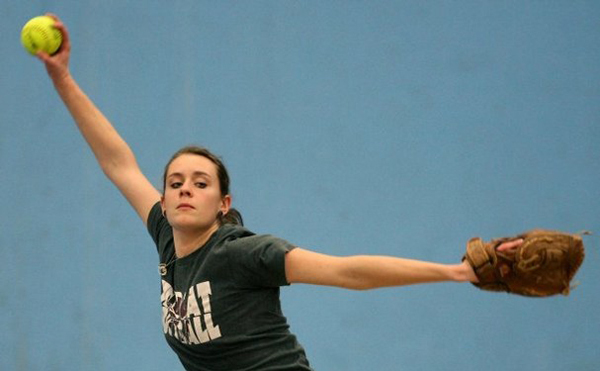 Spartans softball rallied from an early loss at districts to qualify for state. Jamie Workman will give a free presentation on “The Future of Water” this evening at the public library as part of the Building a Sustainable Economy lecture series. Ovation! presents its Glee and Voce’ spring concert “In Tune – a Salute to TV” Friday and Saturday at Bainbridge High School. Battle Point Park will be the site of Bubble Day! Saturday from 10 a.m. to noon. 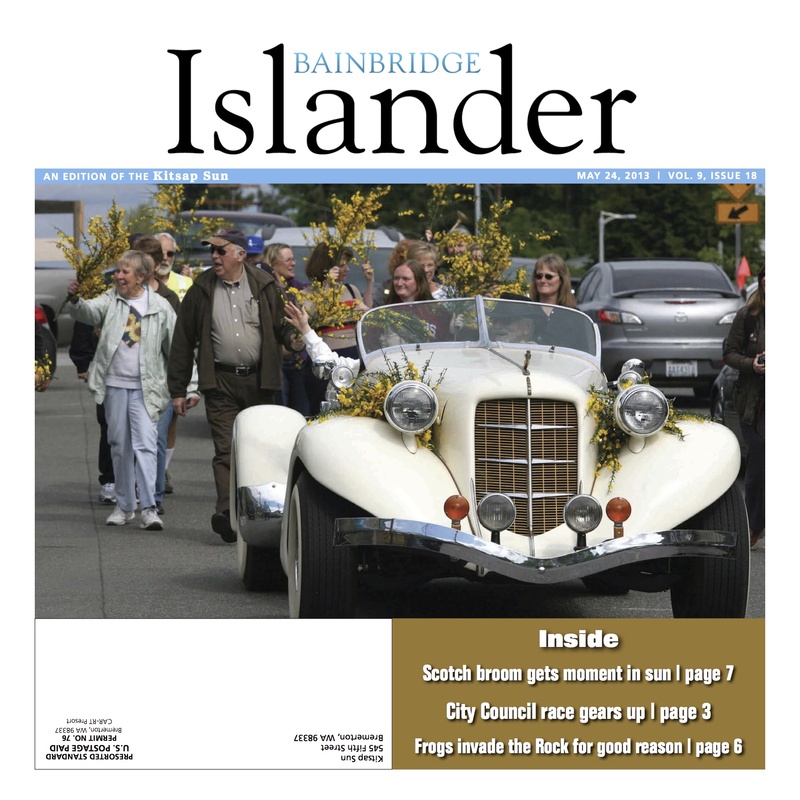 Here’s the Bainbridge Islander preview for May 10. Feel free to give your events a plug in the comment section below. FOR SALE: A SLICE OF JAPAN | Fuurin-Oka ryokan seeks new owners. BOARDWALK FOR FAY | Project would protect vegetation and visitors. ROCKY FUTURE FOR ROCKAWAY? 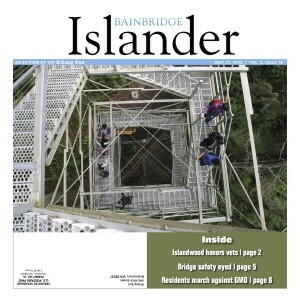 | City needs environmental permit to avoid long delay. 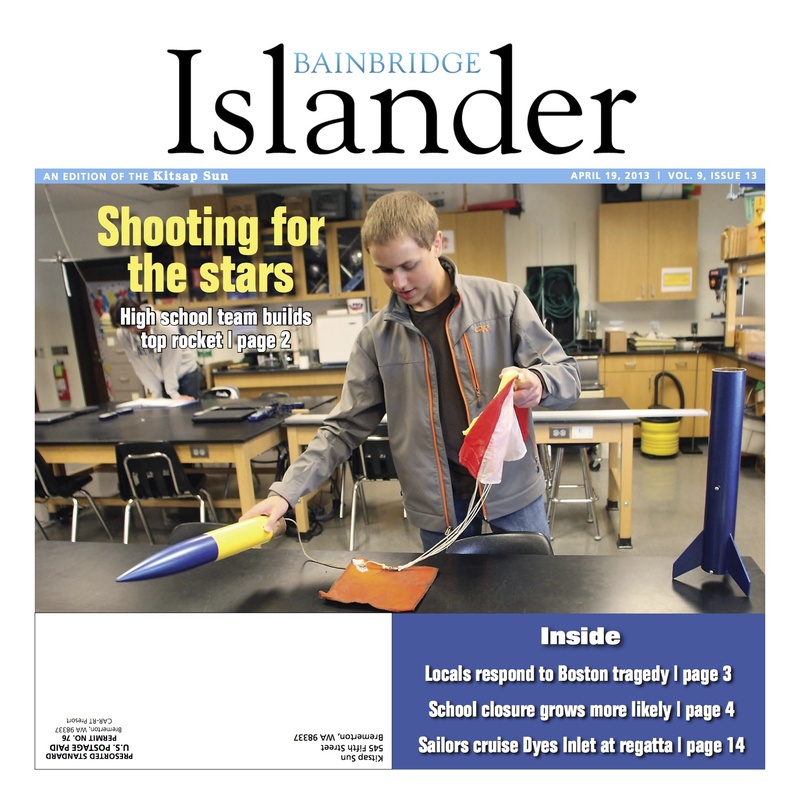 COMING UP: An astronaut visits Bainbridge. 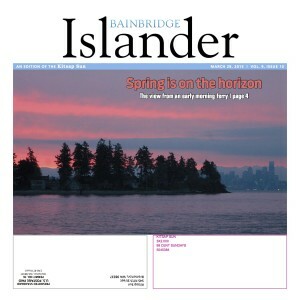 Here’s the Bainbridge Islander preview for April 26. Feel free to give your events a plug in the comment section below. 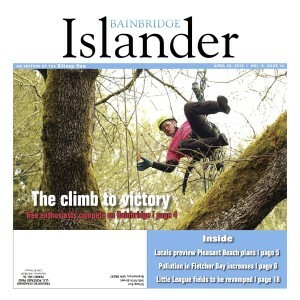 CLIMBING TO VICTORY | Arborists descend on Bainbridge for an unusual competition. PLEASANT BEACH PHASE 2 | A swimming pool and gym are just a couple new additions planned for fast-changing Lynwood Center. 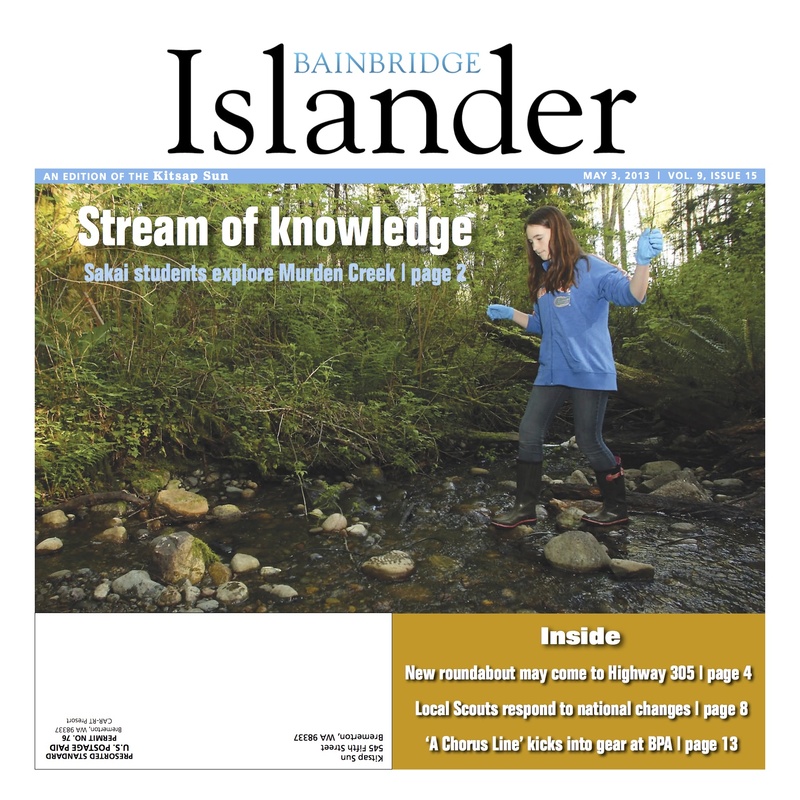 CONCERN FOR FLETCHER BAY | Increasing levels of bacteria put Fletcher Bay on the “threatened” list for shellfish growing. BIG PLANS FOR ROTARY PARK | Ballfields will get long-awaited renovations over the next two years. COMING UP | Students become citizen scientists in watershed project. 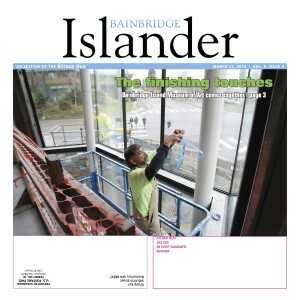 A look at The Waypoint and the Bainbridge Island Museum of Art site. Click and drag the image to scroll around.